I've heard of archer before and how easy and nice they are to work with. 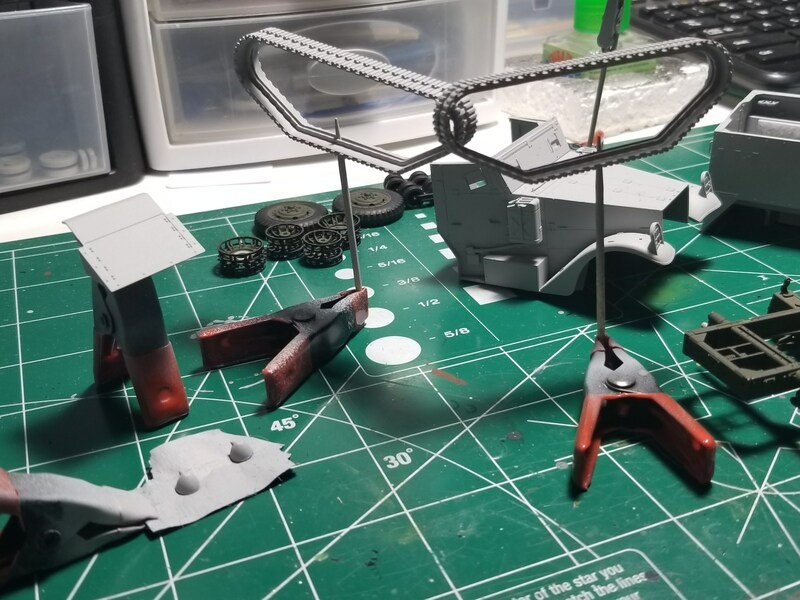 Definitely considering getting a set for future builds. Thanks for the tip! You just need to be careful when lifting off the top cover after rubbing down - just in case the decal has not fully parted from the cover. Make sure you give it a thorugh rub down and you should be fine. Next will be priming and painting of upper body,then "marriage". Very nice work. Loving those exhaust pipes. I think I seen a set of those on a funny car. Looking good Angel. 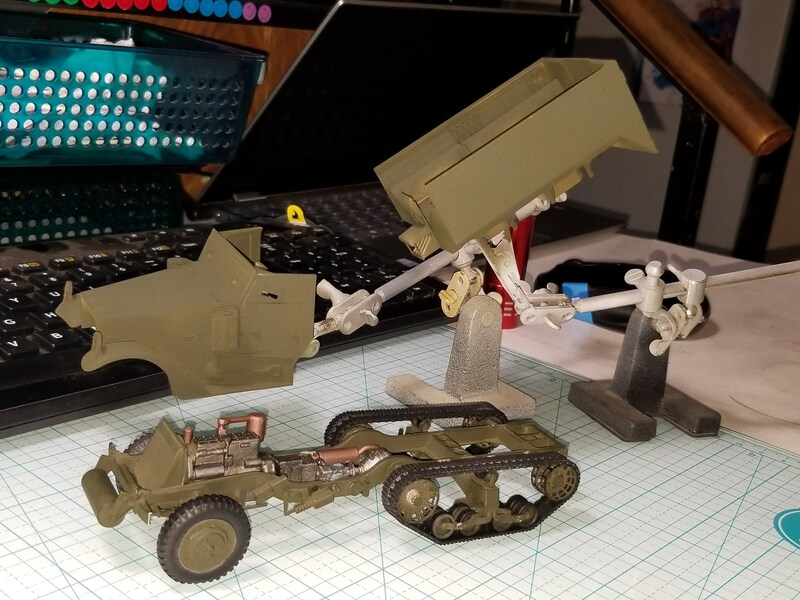 Not a real scratch build challenge though. You may want to fill the knock out marks on the tracks to improve that. Nicely done on the PE Angel!! Im a big fan of PE work. 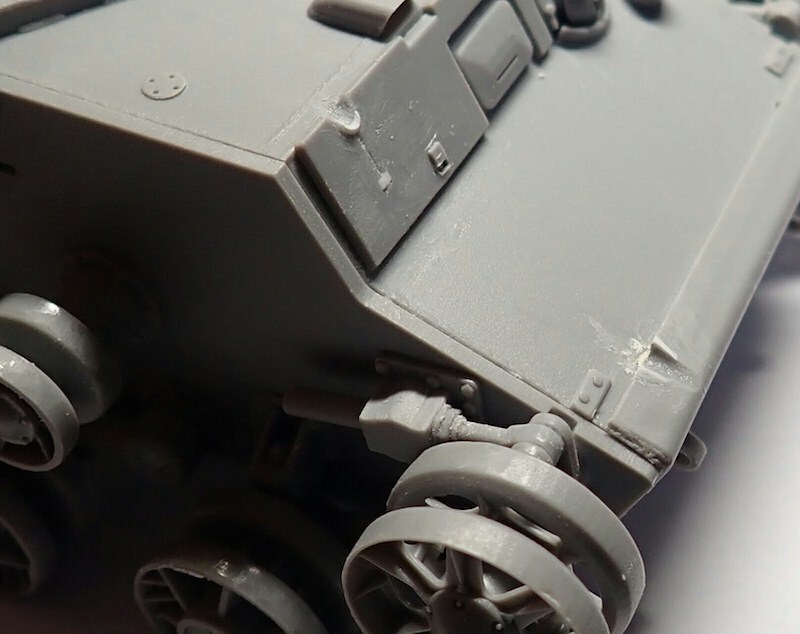 M3 is build and a lite coat of Tamiya fine surface primer. 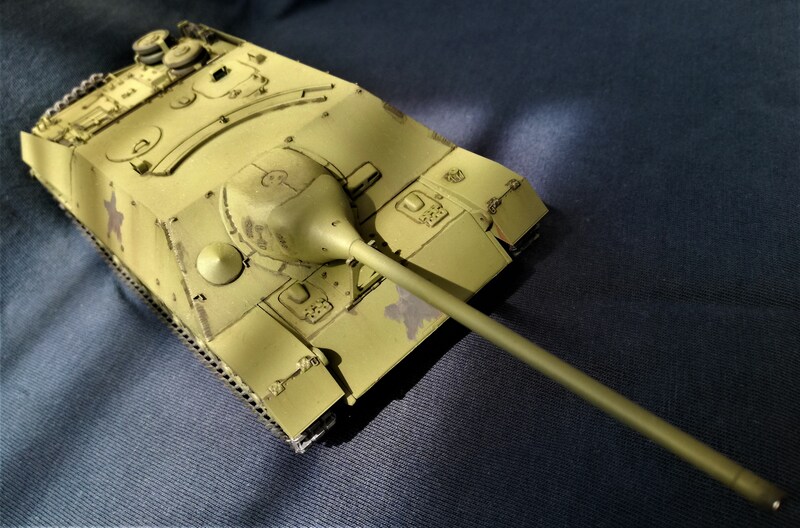 Going to let it set for a few days before I spray on Tamiya xf-62 Olive Drab for the base coat. Only scratch build I have left, the bracket for the exhaust tip. 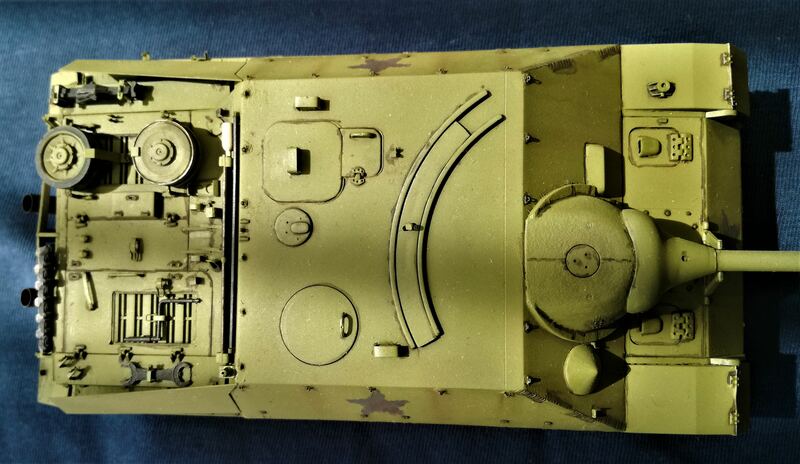 I've painted the upper body,taken care(again) of ejector pin marks on the spare track(thanks Peter!). 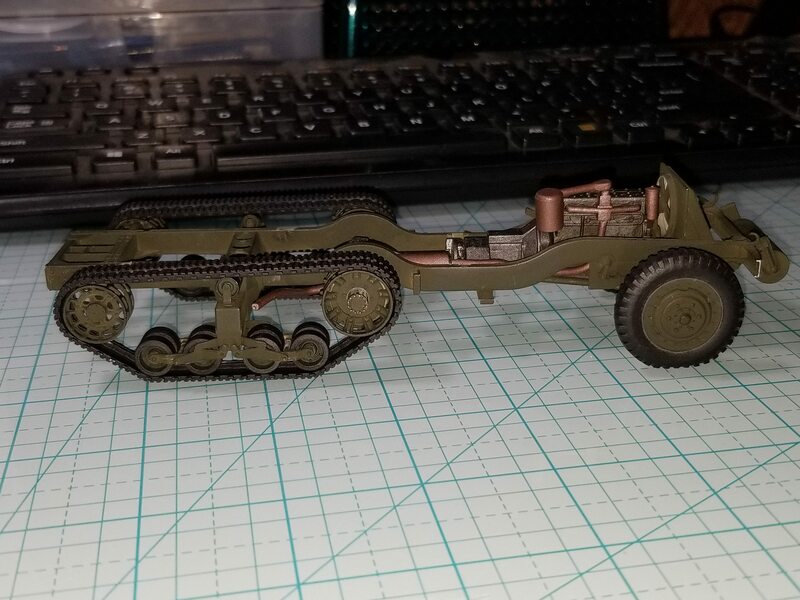 The vehicle now rests for paint curing and I intend to give it a coat of mat varnish-together with a Blitz Tankwagen in 48th I am building for a friend- in the afternoon. I think these two might've been caused by same glancing shot. I have a little room on the bench so I should be able to start on this campaign. 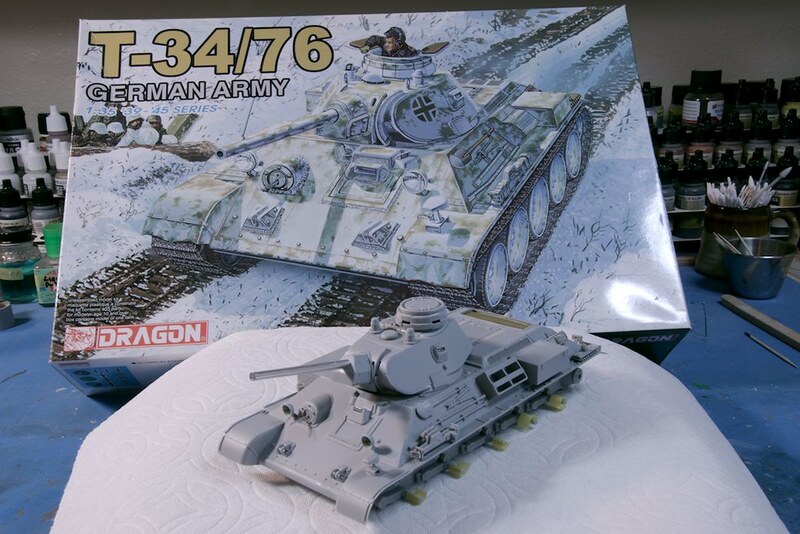 My entry is the T-34/76 German Army from Dragon, Kit #6185. 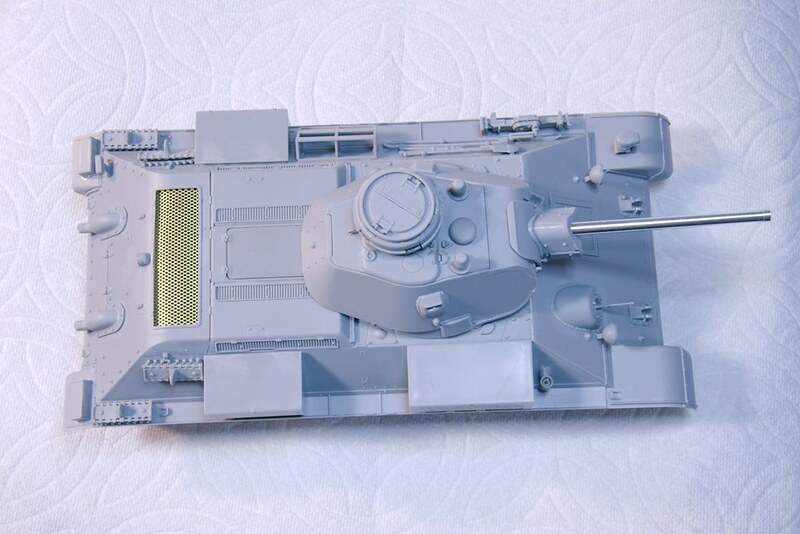 This will be my third Russian armor build, but my first T34. 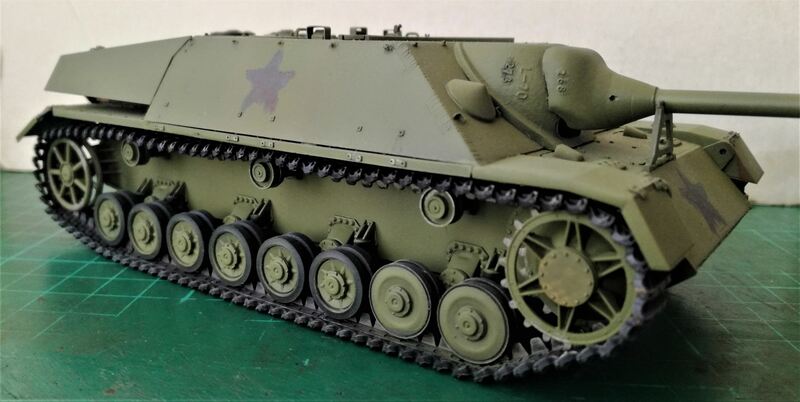 I kinda taken a fancy to Russian armor, so this should be an enjoyable build. Must have been fording over the top of a rise with the attacker down low.... nice effect. 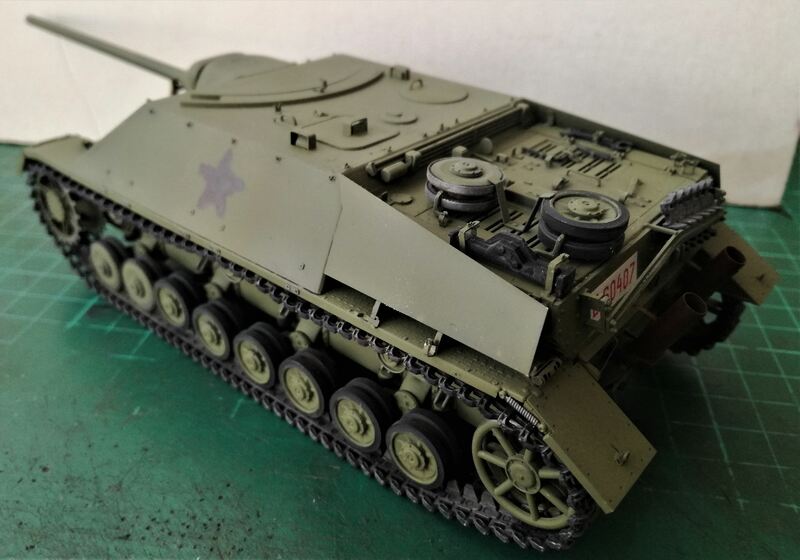 John, very good work with the model. I will follow with interest the continuation of your work with him. Angel, now I expect you to make it slightly dirty. Not many. I know you do not like this procedure, but ... naturally it will. I’m starting this one a little late, as I had to finish the workhorses campaign. 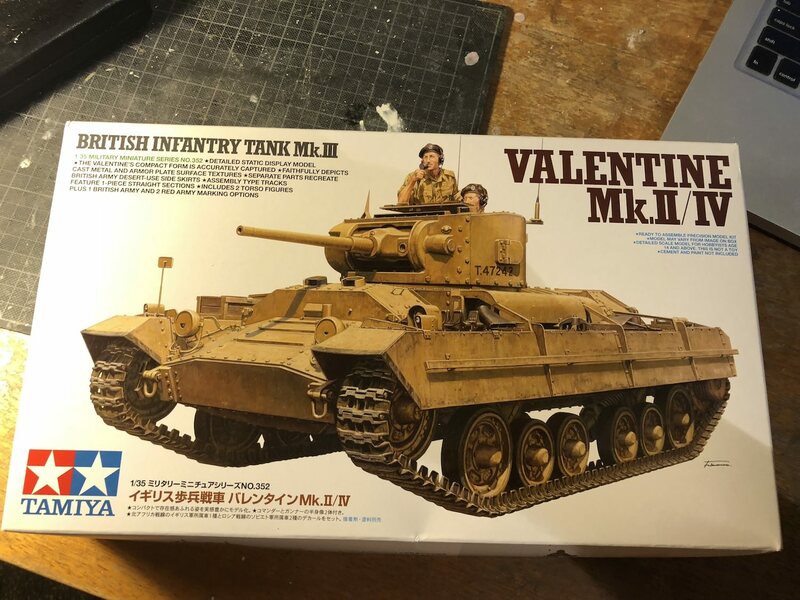 I had thought to build the Italeri M14/41 with Australian kangaroo markings in North Africa, but I’ve changed my mind and will build the Tamiya Valentine as a beutepanzer. 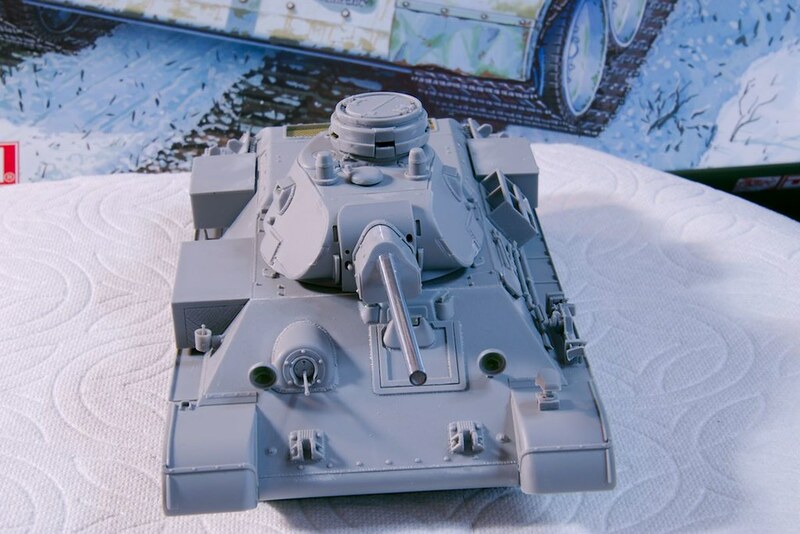 And this is the tank I plan to model. I’m still trying to work out where the picture was taken… It doesn’t look like North Africa. 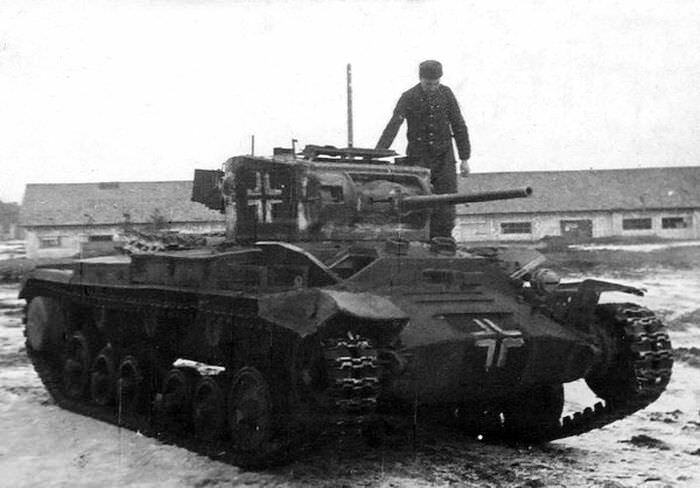 So I’m wondering if it was one of the Valentines that was sent to Russia and was then captured and repurposed by the Germans… If so, there are a whole host of chipping and marking options right there. 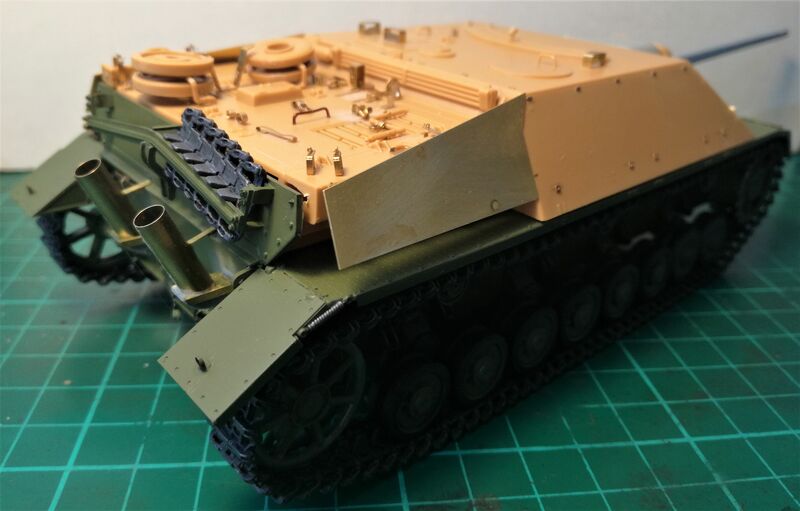 PS Angel, beautiful jagdpanzer iv! Liking the subtle weathering very much. Congrats on the finish and nicely done on your Jag! I like how the exhaust pipes turned out! 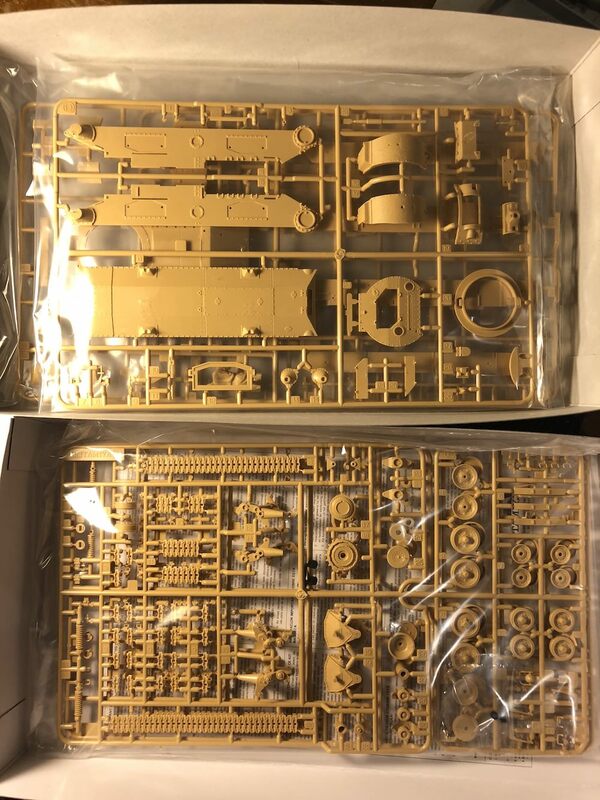 Welcome to the campaign and I'm looking forward to seeing your build, especially the weathering. That's going to look amazing! To help you with the location, I have no idea. 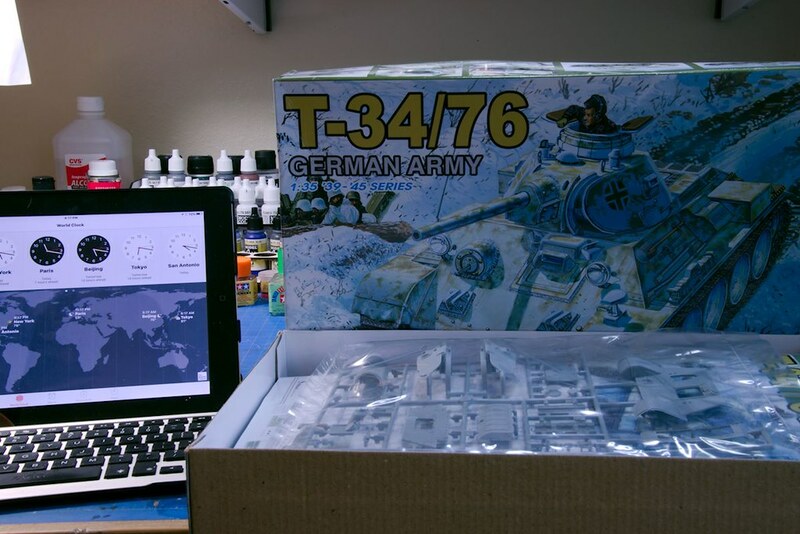 BUT someone on Armorama will help you. I painted the exhaust pipes with Rust Streak enamel by AKInteractive and applied two rusty pigments and some soot, all fixed by AK Pigment Fixer. 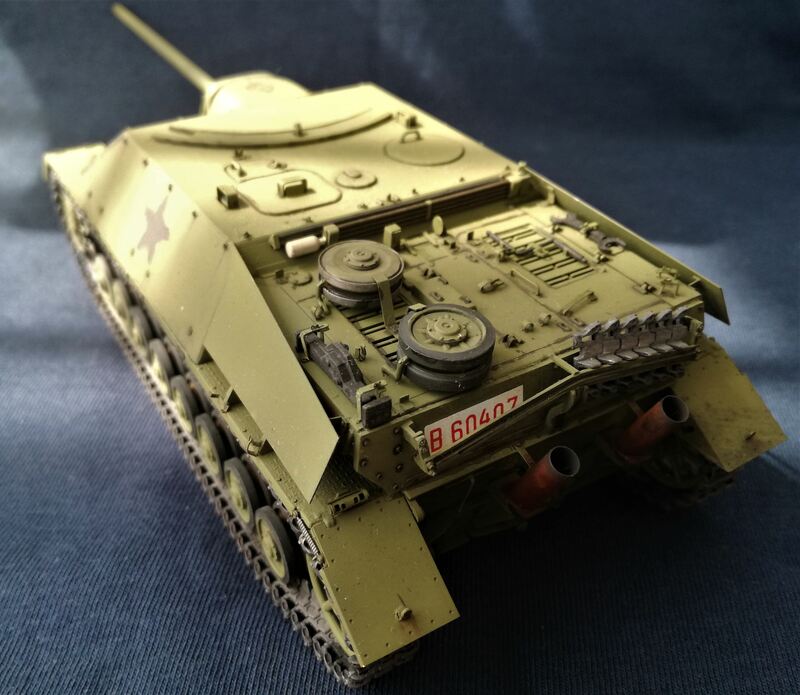 A quick update on my entry to the build, Dragon's T-34/76 German Army. 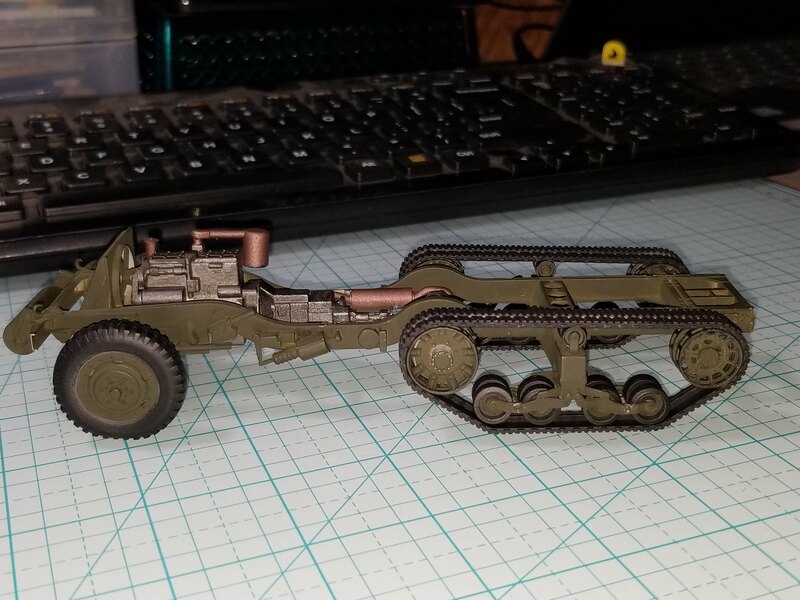 The tank is mostly assembled except for the tracks, tow cable and parts that will be put on after painting. This one was one of the easiest build so far. Only a few minor problems caused by myself. That is how I go about modelling, you build it your way, not how someone else thinks it should be. You need to be happy with your own results and anyway, it looks great. Matthew, very likely one of the ex-British, then ex -Russian Valentines. This site has a caption on the pic to that effect, but I won't bet my life on it! 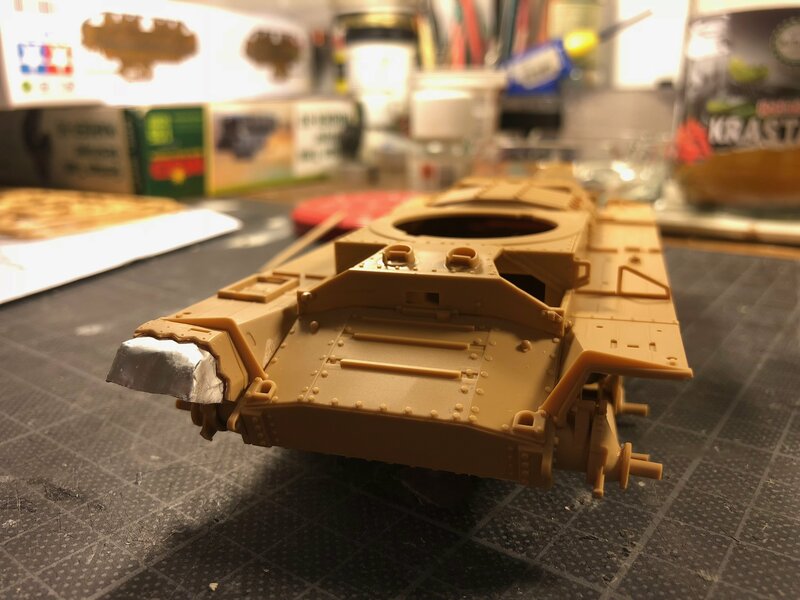 That T34 is really coming along nicely too Mark. 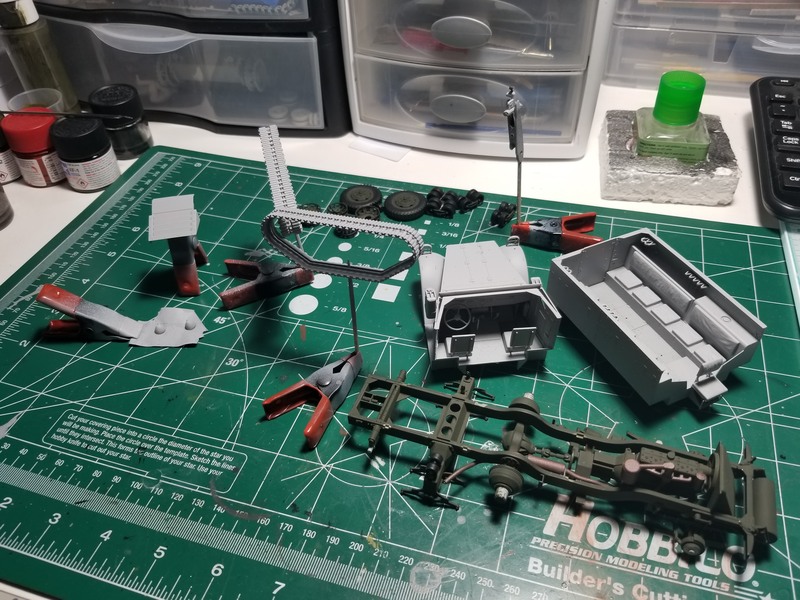 Quick update, put down the base coat on my German T-34/76. 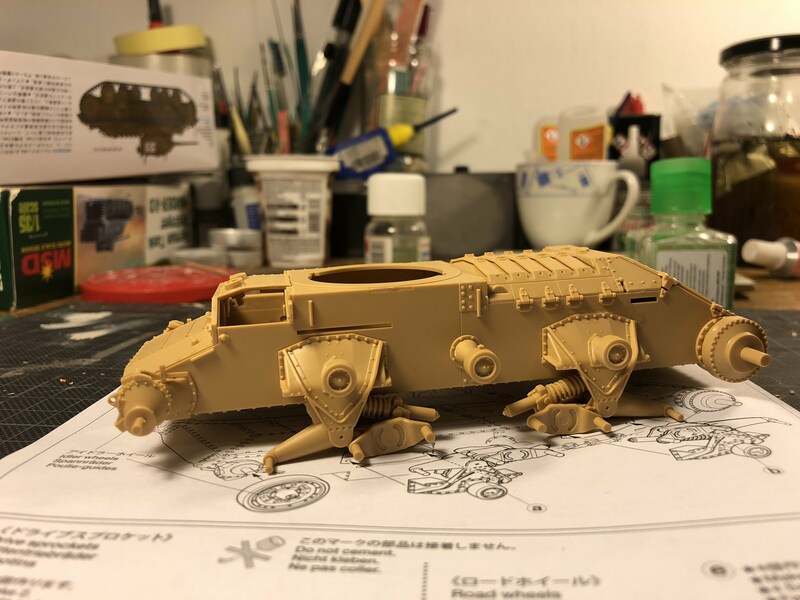 Will put a coat of Future on her tomorrow and then do a white wash.
After a couple of hours modelling, I’m already on stage 7 of 22. 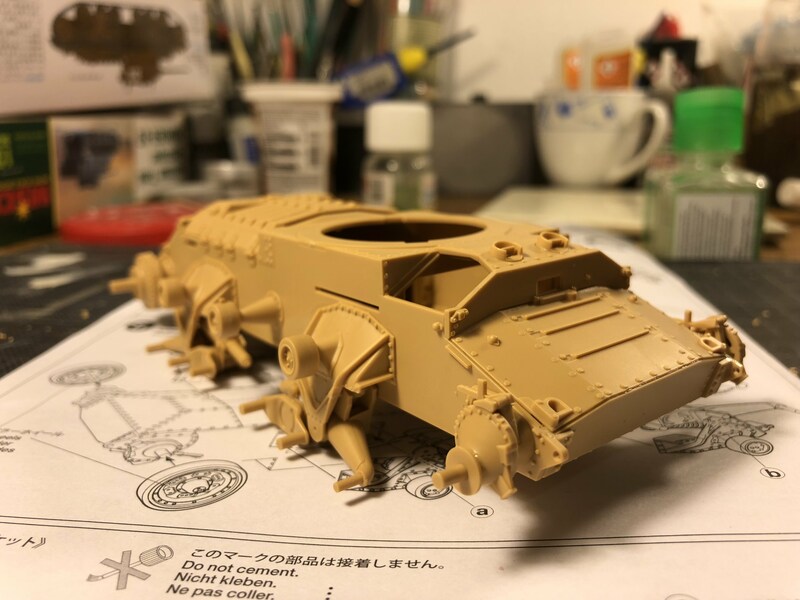 Gotta love Tamiya! P.S. 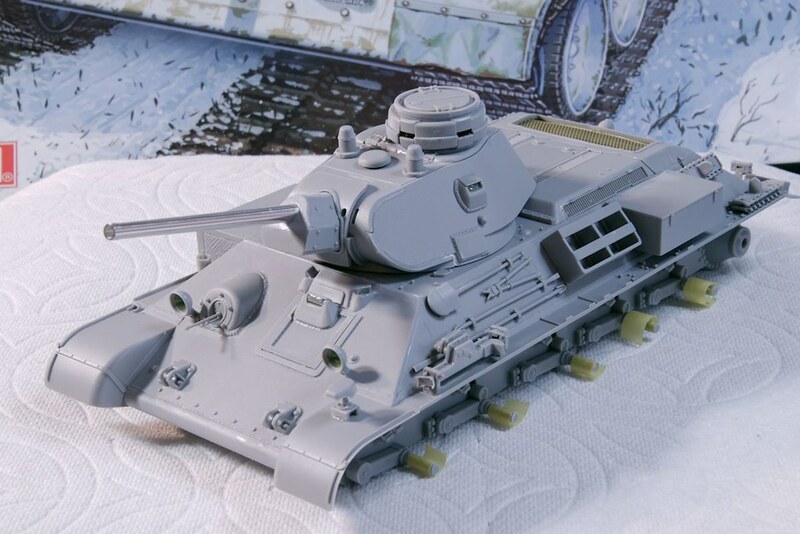 Mark, nice beute T34/76. Very clean build. At Mark, I agree with Matt, very clean build!! 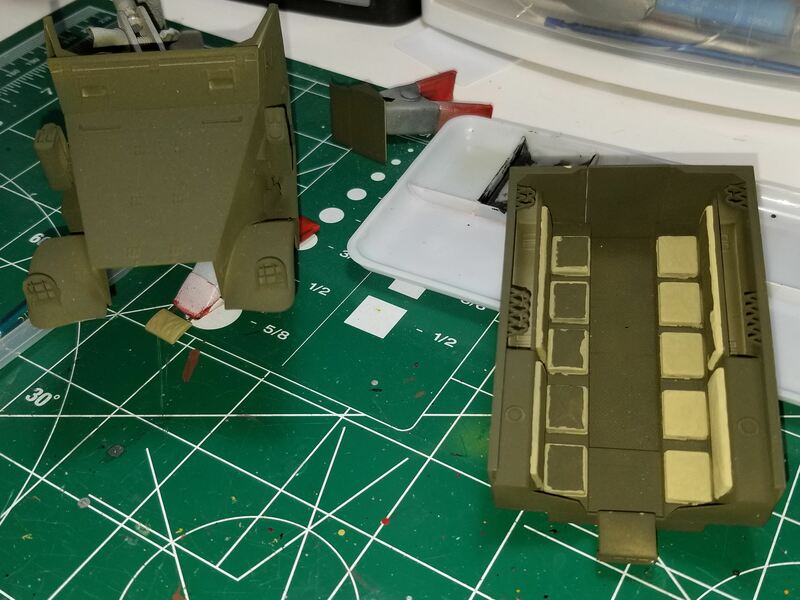 Some progress pics on my captured M3. Pic below is the camo scheme that I'm going for. Picture for discussion only. 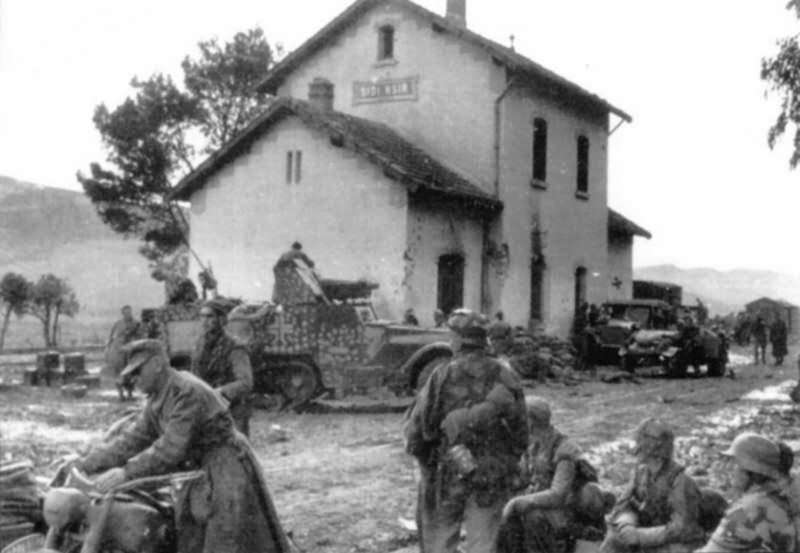 John A, are you just doing the scheme or putting the 75mm howitzer in too? I got a bit more done on the beute Valentine. 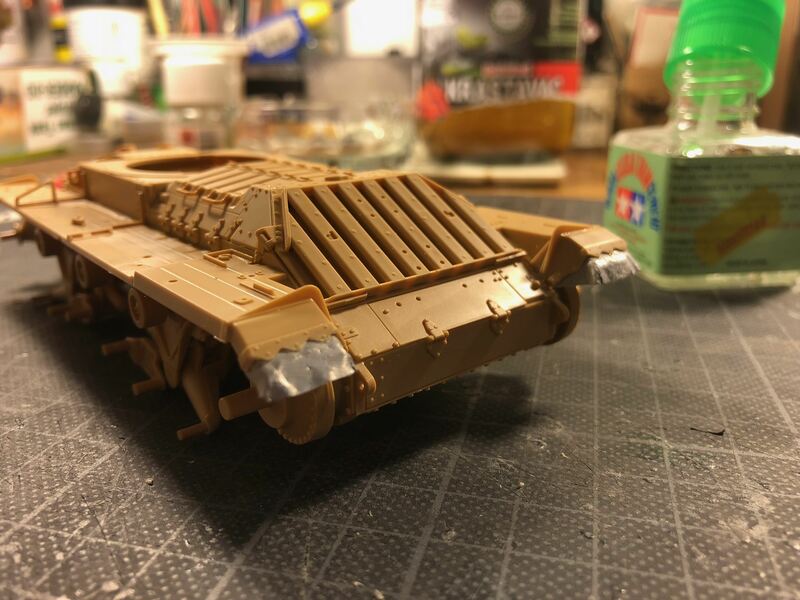 The Tamiya mud guards looked too tidy and even so I decided to replace them with lead foil. 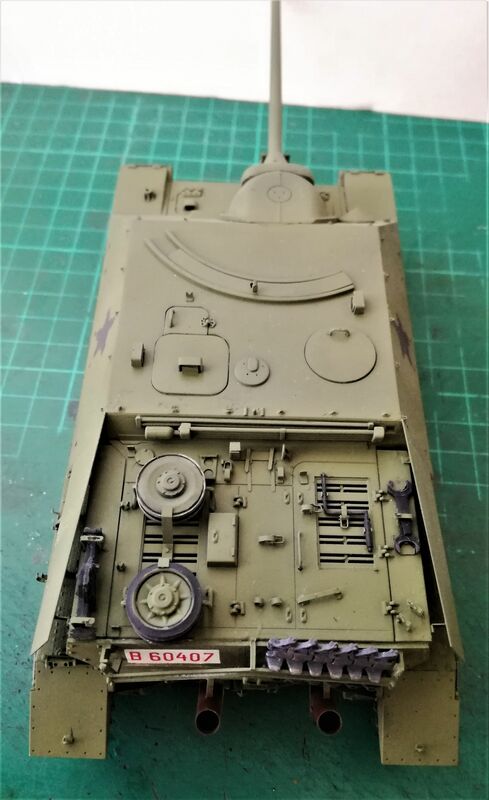 Also my reference picture has the front left mudguard shorn off - so that had to go. 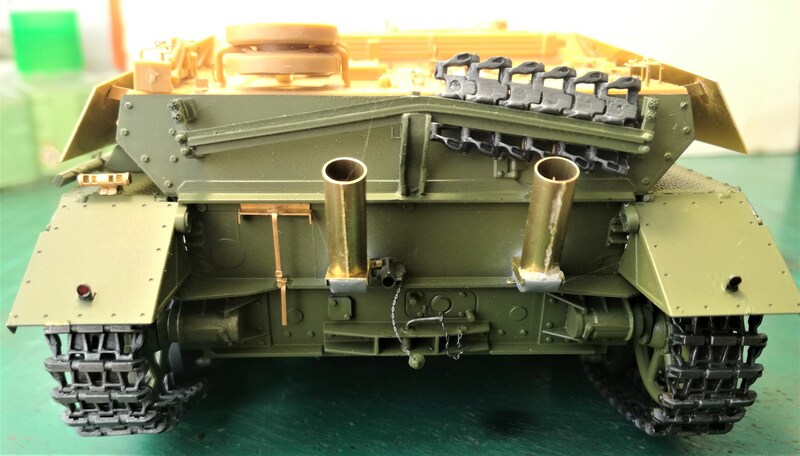 I'll use Friul tracks so don't need to worry about attaching the fenders now. 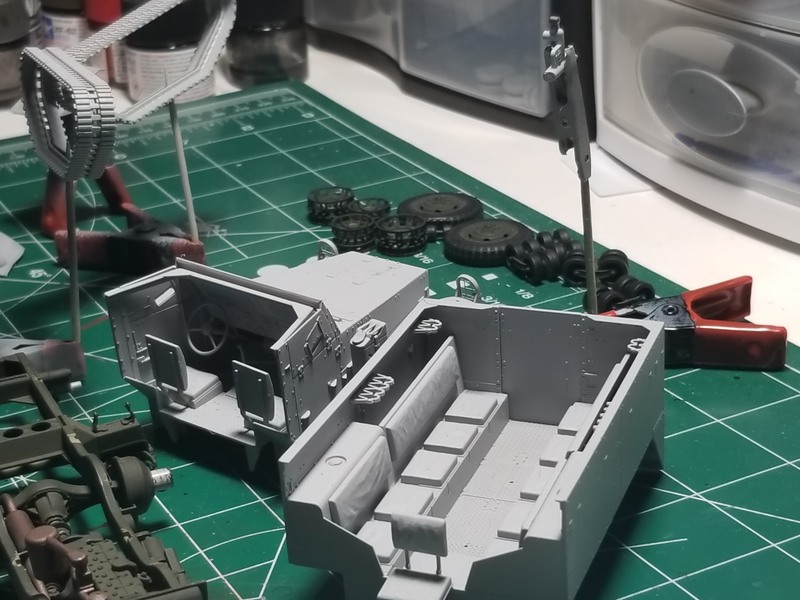 Tomorrow, the turret and a few smaller details.